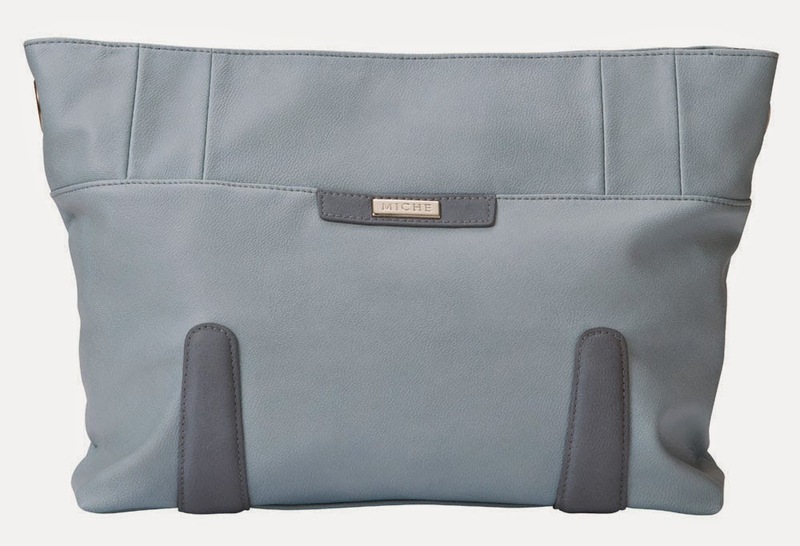 The softest colors of nature come to life in the Brecken for Classic MICHE bags. Faux leather in a delicate shade of light forget-me-not blue is offset by simple appliquéd “stuffed” details in blue-grey. Sometimes the way to make a bold fashion statement is with a whisper. Brecken fits a Demi Base Bag perfectly, but her silhouette gives her a trendy tote bag look and feel. Silver hardware; back slip pocket.